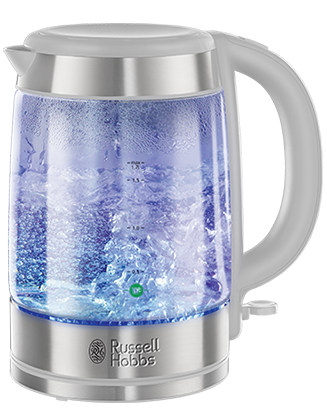 Add a drop of style to your kitchen with the Russell Hobbs Illuminating Glass Kettle in Copper. 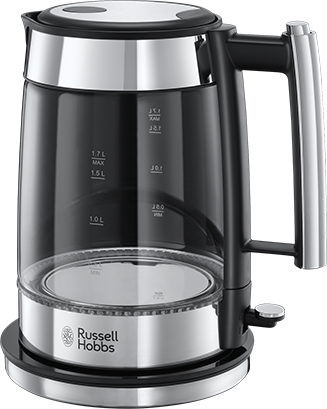 Saving up to 66% energy*, this striking glass kettle, with a durable glass body and a copper finish, is sure to light up any kitchen’s design. The premium glass has a 1.7 litre capacity, a removable, washable filter to maintain performance and reduce the build-up of limescale and cord storage which allows you to keep your kitchen work surfaces tidy by hiding any excess cord. 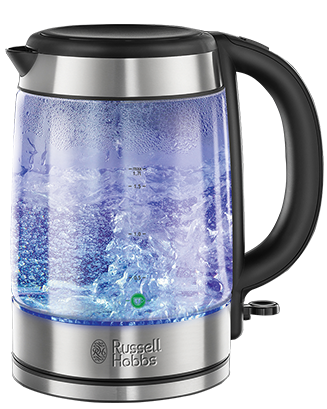 The kitchen is at the heart of any home, so complement your current design with the tasteful blue illumination that lights up the Illuminating Glass Kettle during boiling. * Boiling 1 cup [235ml] vs 1 litre.